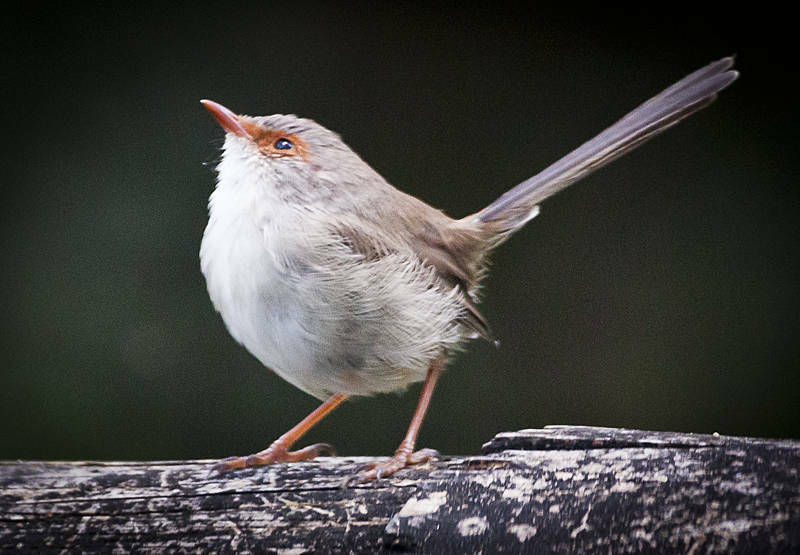 This tea bag sized female fairywren is a daily visitor to the Manna Gum camp in the Main Range National Park. The males are more colourful and in Western Australia, they look like this. There were many other birds I have never seen before which need identification before I post them. I also briefly saw a Disappearing Mouse. It got its name because it was believed to be extinct for 60 years before reappearing in this park. I would post it but it disappeared before I photographed it. The National parks in Australia are outstanding. The campsites are set in areas of overwhelming natural abundance. Here in Queensland, they are often the untouched crest of an ancient volcano. Most sites have a few miles of dirt track before you arrive at an oasis by a river. I am resupplying in Clifton and Toowoomba for a three days before two weeks in the Crows Nest National Park. The park is unlikely to have good phone coverage so the next post will be after 5th May.